[GO4GLOW]: 6 investments for your hair and scalp so you don’t have to worry about hair loss any more! Haircare is a tricky thing. In a way, I think it might be more complex than skincare, because people generally spend less time researching and learning about their own scalp/ hair that often we’re not sure what we’re doing right or wrong. As someone who does heat styling almost daily, I am extremely conscious about the health of my hair and scalp. Luckily for me (and for awesome products), I’ve been able to maintain healthy, shiny, happy hair and a balanced scalp despite all the chemicals and heat that my hair is subject to all the time! I also often get questions about hair loss, and how to prevent it, so here are 6 investments you should make to keep your scalp and hair healthy. Never worry about hair loss again! I’m gonna start with the most overlooked investment of all. A good hair brush. As unbelievable as this sounds, there are benefits to brushing your hair daily with the right hair brush. It’s not just about getting tangles out of your hair. A good hair brush will sweep debris and oil from your scalp, acting as a natural ‘dry shampoo’ with a cleansing effect on your hair and scalp. A good hair brush also stimulates blood circulation of your scalp, which in time helps to prevent hair loss. The brushing loosens the oil glands in your scalp, allowing them to breathe while also retaining your natural oils. An unbalanced scalp (aka one that has oil glands all out of whack) is a leading cause of hair loss, as both over and underproduction of sebum will weaken the scalp. Lastly, by transferring the oil from your scalp to your hair strands, your hair brush also helps to bring shine and lustre to your hair! Convinced? All your brushing won’t make any difference if you’re not using the right brush. Commercial/ cheap brushes tend to pull at your hair and might damage it instead. Nylon/ boar bristles that are specially created for haircare are your best bet. What to buy? : I LOVE LOVE LOVE my Mason Pearson hairbrush. Mine is the nylon/ boar bristle mix in “Handy”. At ~SGD200 a pop, it’s a bit costly, but I promise you it’s worth it. Find Mason Pearson brush that suits your hair and scalp here, and buy the hairbrush that you will cherish the rest of your life for free shipping to Singapore here. I’ve raved about scalp tonic at length when I reviewed the Skylake haircare range. I still stand by this. A scalp tonic will refresh, balance, and nourish your scalp, and this will in turn lead to healthy hair, a balanced scalp, and prevention of hair loss in the long term. What to buy? 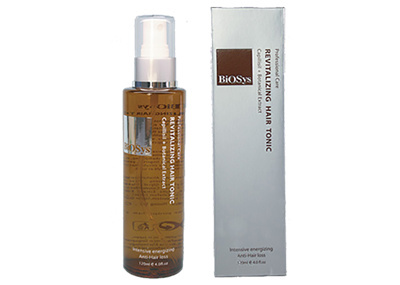 : When I was at the salon last week, my hair stylist recommended this Biosys Revitalising Hair Tonic. Ginseng extracts help to balance, nourish and strengthen the scalp to prevent hair loss, and the botanical extracts give my scalp a really refreshed, cooling sensation. Get it here for SGD32.50. Note: This product contains alcohol, so if you’re sensitive to that, I still highly recommend the Skylake hair tonic. Get it on Hebeloft, and get 30% off with the code ‘THANKYOU30’ for GO4GLOW readers! As you can see, most of my hair investments are preventive, as opposed to curative. That’s because when it comes to hair and skin, I subscribe to the prevention > cure method! Don’t wait until it’s too late to try costly and drastic measures that might not even pan out. If you’re into heat styling like me, I cannot stress enough the importance of getting a good heat protectant for your hair. Just spread a little bit through damp hair, and you can proceed to style your hair as usual. Glow tip: Did you know that UV rays can damage your hair too? They strip your hair of moisture, leading to frayed, limp, dry hair. They also make your hair colour disappear much quicker. 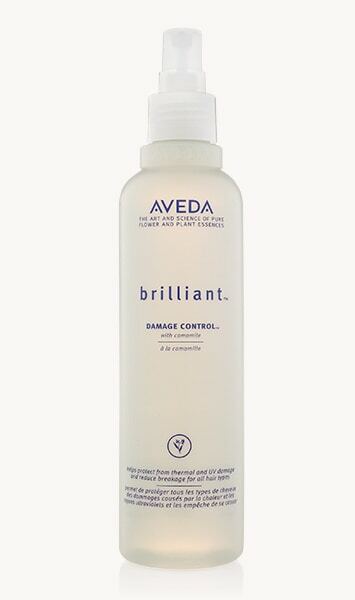 What to buy: I love the Aveda Brilliant Damage Control spray. Not only does it contain a ton of botanical extracts to nourish your hair gently, it’s also free of damaging (and dulling) sulphates and silicones that I always try to avoid. Perfect for fine hair that doesn’t want to get weighed down too much (because it’s very light!). Get it at Sephora or SGCosmetics. An alternative to this (for people with thicker hair that needs more control): The Alterna Bamboo Smooth Anti-Breakage Thermal Protectant Spray. It’s a cream spray, so it’s offers more control for thicker/ wavy hair. I recommend this to people who are using a straightening iron, or blowing out their hair daily with a round brush. Bonus: It claims to reduce breakage by 87%. The topic of no sulphates/ no silicones is one that I can expound on for days. But simply put — whether you want to avoid sulphates/ silicones/ parabens/ etc totally, or you want to be more conscious of ingredients, just try to identify what it is exactly in your haircare that irritates your scalp. Because whatever irritates your scalp is also most likely to lead to hair loss. For me, I try to avoid dimethicone in my haircare (minimally), or go entire silicone-free, because silicones weigh my hair down, make my scalp oily, and I’ve also observed that when I use silicone-heavy products, I tend to experience more hair loss. Sulphates (in particular Sodium Laureth Sulphate — which is essentially detergent) are also particularly irritating for my scalp, so I tend to avoid those too. PHS Haircare Hair Loss Shampoo (FEM): This feels AMAZINGLY REFRESHING on the scalp! I use this once a week. Buy it here. Ryo Haircare range: There are a million different products in different ranges under this Korean haircare brand. I love that most of the products are heavy on the ginseng/ hanbang, and focused on scalp care. The shampoos and conditioners I’ve used have strengthened and nourished my hair very well. Skylake Haircare range: Read more about one of my favourite haircare ranges here. 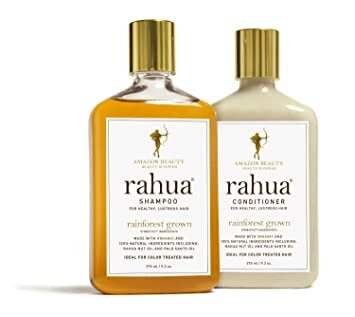 Rahua “Amazon Beauty” Shampoo and Conditioner: Hands down my top HG haircare of all time. 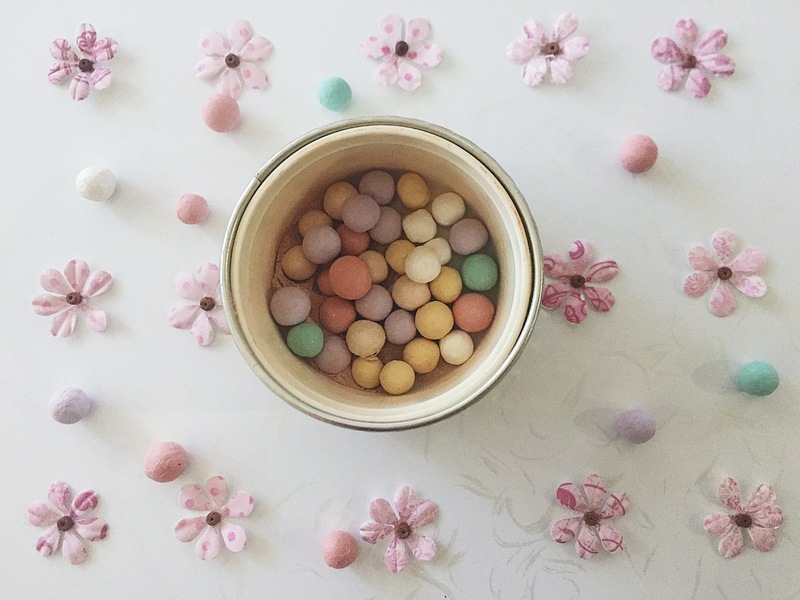 Sulphate/ Silicone/ Paraben free. This smells incredible, leaves my hair super shiny and lustrous, and has a dreamy ingredient list. Buy it here. Much like our skin needs to ‘resurface’ and get rid of debris and dead skin on the surface, our scalp needs exfoliation to prevent dandruff, buildup, and itchiness. Use a scalp scrub every fortnight or every week to detoxify your scalp and ‘refresh’ it. What to buy? 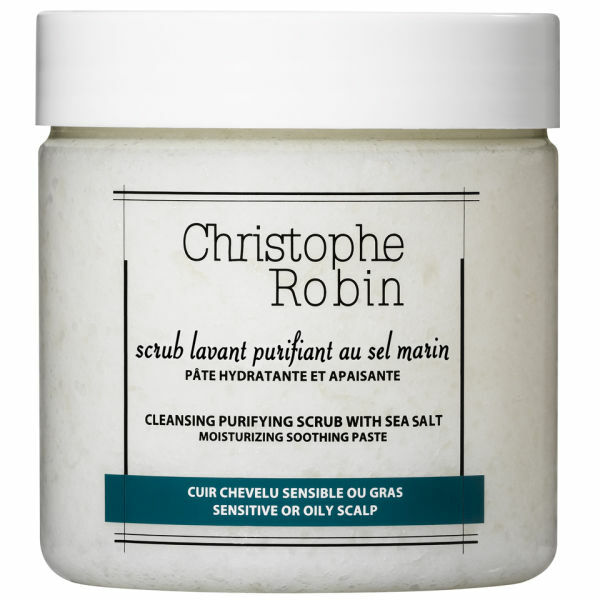 : I like the Chrisophe Robin Sea Salt Scrub (smells amazing) and the Body Shop Fuji Green Tea Cleansing Hair Scrub (smells amazing too and at 1/3 of the price)! Note: Both products above contain SLS. If you don’t know where to start, I suggest looking on iHerb for reasonable, green choices! And that’s all! Haircare isn’t difficult or tricky — it’s all about putting in the time and effort to maintain healthy and happy hair. Thanks a lot for this post!! I’m really confused about scalp exfoliators since they’re not very popular, and it seems that there aren’t a lot of products in the market. Do you see any difference when using a scalp exfoliator and whether you don’t?